Quartetto Sincronie was founded in 2011. The four performers graduated in the Course for String Quartet at the Music School of Fiesole, under the guidance of M° M. Da Silva and M° A. Nannoni; they attended the Course for String Quartet at the W. Stauffer Academy in Cremona, under the guidance of the Quartetto di Cremona and at Pinerolo Academy in M° A. Pinzaru’s class. The Quartetto Sincronie attended the Académie International de Musique M. Ravel (2015), the International Summer Accademy of Vienna (2016) and Savonlinna Music Academy (Finland 2017). The Quartetto Sincronie was selected to participate to the workshop “The creation of the timbre: the string instruments amplified in George Crumb, Franco Oppo, Fausto Romitelli e Giacinto Scelsi” organized by Fondazione Cini (Venezia) and to the artistic residence for young string quartets “La Casa del Quartetto” organized by the Foundation “I Teatri” of Reggio Emilia (Italy 2018). The group has been recognized, receiving awards at the second annual International Competition for Interpretation of Contemporary Music Fernando Mencherini (Cagli/Urbino-Italy 2013). 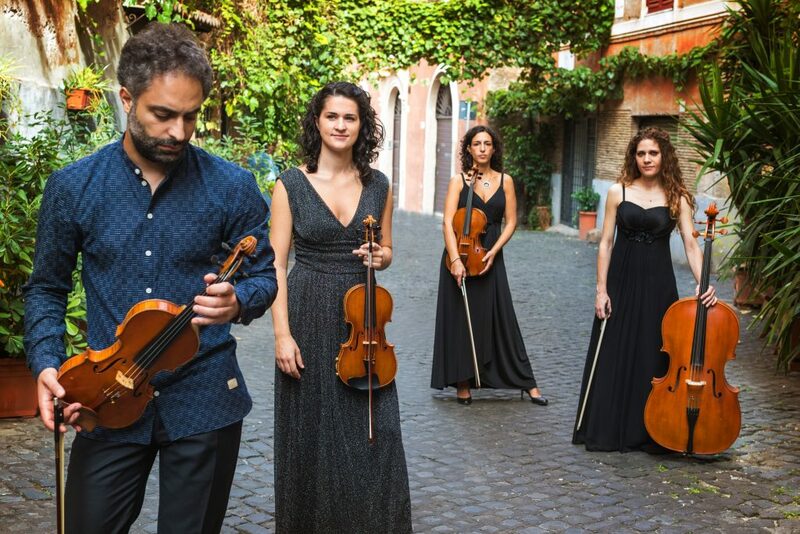 The Quartet was invited in many festivals and theatres: the 2018 Season of Società del Quartetto di Vicenza, 54° Festival of Nuova Consonanza in Rome, Est-Ovest Festival in Turin, Festival dei Due Mondi of Spoleto, Festival Morellino Classica in Grosseto, Società Umanitaria of Milan, Festival “Giovani in Musica” of Ravenna, Palazzo Strozzi in Firenze (for the exhibition “Ai Weiwei Libero”), Auditorium Parco della Musica (Roma), Lizzano Festival, Festival of Giardini La Mortella of Ischia, Villa Torlonia Theatre in Rome, Guitfest 2014 in Rome, Festival Villa Pennisi in Musica, Catania. 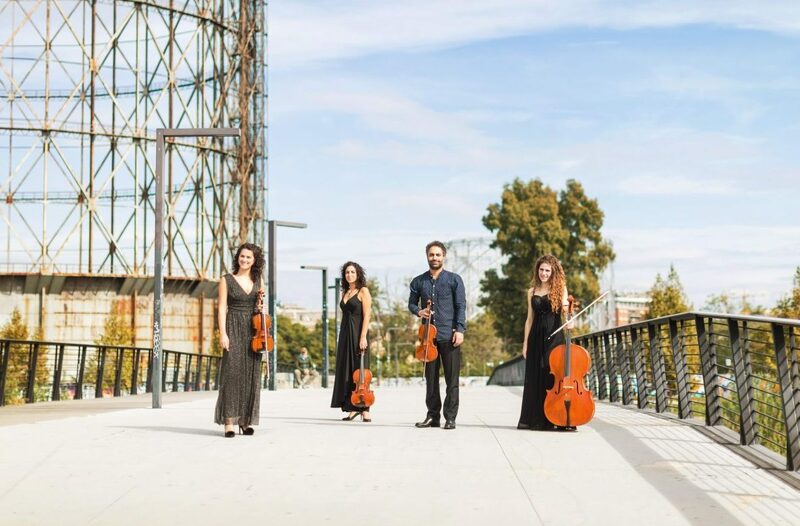 In 2017 the Quartet took part, as quartet on stage, in the contemporary ballet “Cacti” by A. Ekman at Teatro dell’Opera di Roma; the Quartet has performed also for the television broadcast “Inventare il tempo”, which aired on the Italian television station, Rai 5 Cultura. 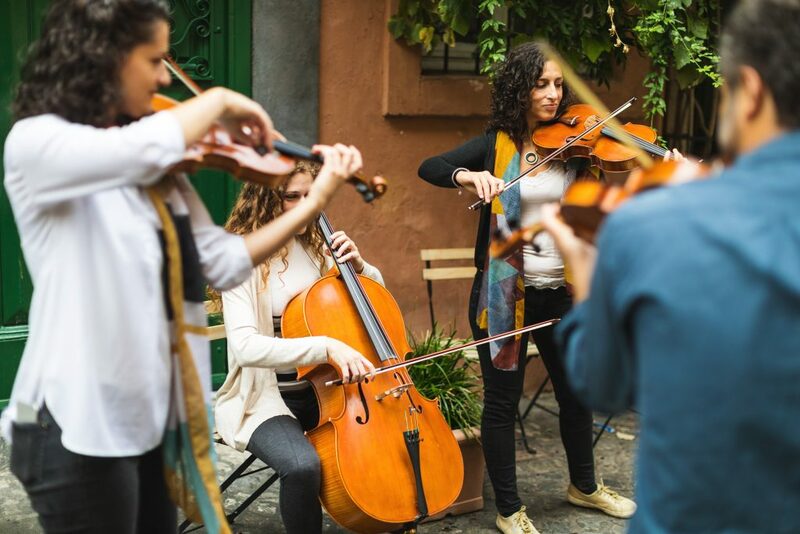 In 2016 the Quartet was selected to take part in the project “Le Dimore del Quartetto”, which is a project supported by the two associations “Le Dimore del Quartetto” and “Le Dimore Storiche Italiane”. 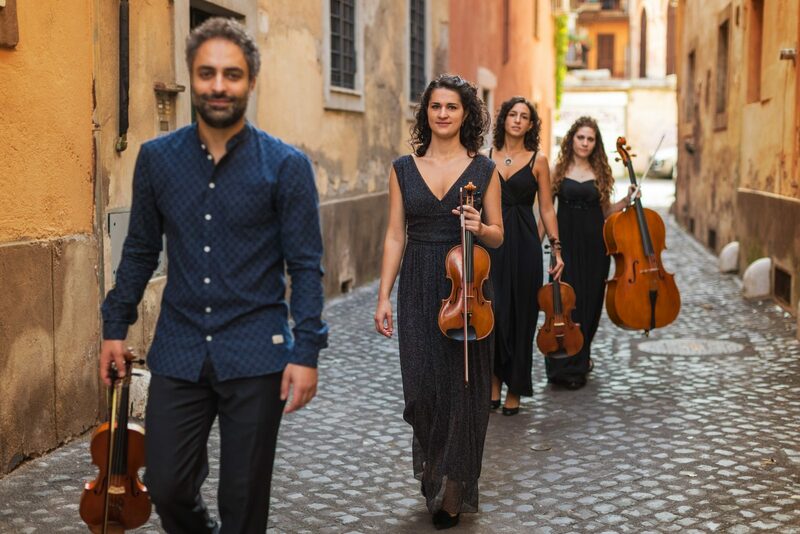 At the moment the quartet is specializing in contemporary music by Italian and foreign composers, in August 2019 it will be the guest quartet in residence at the M° D. Bravi’s composition masterclass.